My gggg-grandfather, Buckley Parmenter, was born on March 31, 1798, in Framingham, Massachusetts (1). His parents, Elias Parmenter and Eunice Brown, were descended from the founding families of Sudbury and Framingham. He was the oldest of seven children. Buckley is related to me in the following way: his daughter Susan Maria Parmenter -> Addison Parmenter Darling -> Russell Earl Darling -> Edna May Darling Baldwin -> my mother. I immediately realized it was the right Buckley Parmenter, since census records referred to him as a “laborer” and in 1860 the location “Hotel” was specified, with owner Lyman Howe. Further books and web resources confirmed it. Buckley was born in Framingham, Massachusetts, and is sometimes listed in the Sudbury census, sometimes Framingham – the inn is on the southern edge of Sudbury, near Framingham – I suspect his family lived on the inn’s farmland. The inn, established by the Howe/How family in the 1600’s, has been in its current building since 1716. Somehow, I never put it together before. The Parmenters had been in Sudbury since the beginning of the English settlement. As land grew scarce for later generations of Parmenters, did they begin working on the farm associated with the inn? Did Buckley’s father work at that farm? Being the oldest, it’s possible Buckley helped on the farm and was gradually entrusted with more and more work at the inn. I feel like I know the end of this story, but it will take future research to discover the beginning. Tap Room, Wayside Inn. Note the barred gate above the bar, ready to swing down during closed hours. Did the children grow up nearby the inn? The 1850 census (similar to 1830 and 1840) shows Buckley and Persis living with Lyman, age 21, and Almira, age 11, still at home (3). In the households on either side were daughters Susan and Eliza Jane, with their husbands and a couple of young children each – no property value given for any of them (so likely no real estate owned). Buckley and the two sons in law were listed as “Laborers.” There was another Howe family, owners of the farm, nearby, separated by a few other farm laborer households. When I visited the inn I heard about some farm housing which was (later) rented out, and I suspect the nearby farm may have been where the family was located when the children were growing up. I think this Framingham location is what kept me from realizing he worked over the line in Sudbury. Then there was Buckley – Buckley Parmenter – a faithful male servant of the Squire, and who had a home with him as long as he lived, and who would have laid down his life to serve him. He was near seventy, but nimble as a squirrel, and as spasmodic in his movements. He had a remarkable accomplishment, which was to take a board nail between his teeth and bite it in two! Yet he was vulnerable, for one summer night he set to work to demolish a hornets nest from the corner of the house, and after getting it down he put it quietly under his arm and strolled toward the brook to deposit it there. But the hornets were not disposed to take things thus quietly, and before he had half reached the spot, out they flew in every direction, stinging him fearfully. The inn belonged for many generations to the Howe family. It is truly an historic inn, with roots going back to the 1600’s, on the main road leading west from Boston. During stagecoach times, there was a good business in dining, drinking and accommodations for travelers and horses. The house was expanded over the years to 18 rooms. Lyman Howe was the last of the direct line of four Howe tavern keepers; he took over from his father, Adam, perhaps around 1830. Buckley would have grown up with Lyman and his sister, Jerusha, and two additional siblings, one of whom was running the grist mill while Lyman ran the inn. Jerusha Howe was an educated and refined woman who owned the first piano in that part of Massachusetts. Engaged to a British soldier, after he returned to England to make arrangements for his new life and was never heard from again, she remained single for the rest of her life and died at 45 in 1842. According to the stories I heard on a visit to the inn this weekend, her spirit haunts the inn. Jerusha’s piano was later re-purchased and placed in the front parlor. Like his sister, Lyman never married. Known as “Squire”, cultivated and intellectual, he pursued some scientific and civic interests. As railroads took the stagecoaches off of the Boston Post Road, business at the inn shifted from hurried stops to lengthy stays in the lovely country setting of the aging inn. The history of the “Howe’s Tavern” or “The Red Horse Inn” is a fascinating one. The inn played a prominent role at various critical times in American history, including the Revolutionary War. The rooms are reminiscent of travelers downing cider, horses impatiently stamping out front, soldiers marching on the old Boston Post Road. But that’s not why it’s famous. The 1860 census shows Buckley and Persis living at the “Hotel” with owner Lyman Howe and four employees (5). Lyman’s fortunes had declined in the previous 20 years, and debts had built up. Business at the inn was unprofitable and perhaps Lyman Howe was not an ideal manager. When Lyman Howe died March 26, 1861, it was the faithful Buckley that found him the next morning (7). The estate went to a distant elderly relative, and there were many debts to pay. There was an auction and many of the family belongings were sold, although according to Lunt’s article (6) the inn had been only sparsely furnished for decades. The elderly relative died in six months, and her sons maintained the property as a kind of long-term rooming establishment. It was during this transition, in 1862, that Henry Wadsworth Longfellow decided on the inn as a setting for some narrative poems he was forming into a volume. Longfellow had been familiar with the inn for decades, and the Squire and Longfellow were familiar with each other, although there is no direct evidence of a meeting. Apparently, Longfellow’s visit that inspired the setting for his book occurred in 1862, after the Squire’s death, and the book was published in 1863. Longfellow was urged by editors to go with the name “Tales of a Wayside Inn” and his volume assembles a set of characters, fashioned after his own friends and various devotees of the inn, including the Squire, to spin poetic tales while relaxing in front of the fire at the inn. The book of beautiful poems was a huge success, and inspired many to want to get a look at the “Wayside Inn”, although The Red Horse Inn no longer operated as an inn after Lyman’s death. Its use varied in these years from long term guests or rentals to parties, outings and special functions only. It was a marketing plan that took 30 years to form, and involved some twists and turns, but eventually the inn was purchased by individuals with the money and imagination to turn the historic inn into the “Wayside Inn” which so captivated Americans. And yet, as you can see in my photos, the inn manages to remain true to its actual past as a significant historical landmark. Few buildings, when you walk through them, maintain so much of an eighteenth century simplicity. Today “Longfellow’s Wayside Inn” is owned and managed by a historic trust. Was Buckley still present during Longfellow’s visit in 1862? By 1865, Buckley and Persis had moved in with daughter Susan and her family in Wrentham, Massachusetts. Buckley died 28 April 1871 in Wrentham, and he and Persis are buried at the Burnt Swamp Road Cemetery in the Sheldonville section of Wrentham, just behind the house where Susan and Ellis Darling lived. Buckley, quick; I must away. Millions could not make me stay. Research all of the Sudbury lines including the Goodnows, Browns, Hunts and Parmenters. Investigate the presence of the name “Buckley” in the Howe family (a young Buckley Howe was noted nearby in the 1860 census). Was Buckley Parmenter given a name common in the Howe family, or was the later Howe named for Buckley Parmenter? 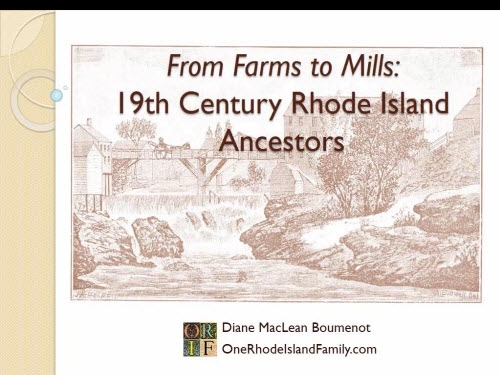 (1) “Massachusetts, Births and Christenings, 1639-1915,” index, FamilySearch (https://familysearch.org/pal:/MM9.1.1/F4XC-VJV : accessed 05 May 2013), Buckley Parmenter, 21 Mar 1798. (2) Curtis F. Garfield. Sudbury, 1890-1989, 100 years in the life of a Town, a 256-page sequel to A.S. Hudson’s History of Sudbury. Porcupine Enterprises, 106 Woodside Road, Sudbury, MA 01776. (4)Ancestry.com. Massachusetts, Town and Vital Records, 1620-1988 [database on-line]. Provo, UT, USA: Ancestry.com Operations, Inc., 2011. Original data: Town and City Clerks of Massachusetts. Massachusetts Vital and Town Records. Provo, UT: Holbrook Research Institute (Jay and Delene Holbrook). (6) “The Red Horse Tavern” by Adeline Lunt, Harper’s New Monthly Magazine, v. LXI, June to November 1880, p. 608-617. (7) As Ancient Is This Hostelry: The Story of the Wayside Inn by Ridley, Alison and Garfield, Curtis. Porcupine Enterprises, 1989. History of Framingham, Massachusetts by J.H. Temple. Published by the Town of Framingham, 1887. A History of Longfellow’s Wayside Inn by Brian E Plumb. The History Press, 2011. The History of Sudbury, Massachusetts 1638-1889 by Alfred Sereno Hudson. Published by the Town of Sudbury, 1889. The Old House at Sudbury by Thomas William Parsons. Cambridge: Press of John Wilson and Son, 1870. Tales of a Wayside Inn by Henry Wadsworth Longfellow. Boston: Ticknor & Fields, 1863. “The Wayside Inn” by Joseph S. Seabury, The House Beautiful, v. XXXVI, no.2, July 1914, p. 33-39. Far off the village clock struck one. The link to million short is given near the beginning of the story. I would recommend setting that site to 10,000 omitted and using quotes around the name in the search box. If the name is very common I would usually use the name in quotes and then add the town, for instance “Samuel Brown” Sudbury. Good luck! This was excellent…so well researched and interesting to read! thank you. What a lovely story to share with us. I just loved it! A very lucky person you are. Thanks for sharing this great adventure and knowledge. on May 6, 2013 at 2:48 pm Elizabeth H.
Is Buckley Parmenter descended from the Parmenter family of Braintree? I have a few Parmenters in my tree going way back. Thanks Elizabeth and Susie. The immigrant was John Parmenter who took the Freeman’s oath in Sudbury in 1640. But he brought children and some could have been in Braintree. I have more to do on that. 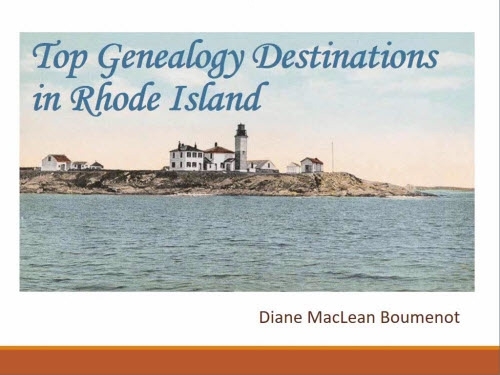 There is a fairly recent book put out by a group, available in genealogy libraries. But I have more to check on my own. Thanks for reading! Thanks, John. This one really surprised me, and it is wonderful to find your ancestors in poetry! Diane, Wow, what a story. Many of us from this area will think of your Parmenter family when we eat at this well-known Inn, and probably even tell the waitress or anybody nearby who will listen. You did a phenomenal job researching, goodness, all your sources are amazing. Was the inn your destination the day? Thanks, Barbara. Yes, I did have a drive up there Saturday and spent the day. I think anyone would be awed by the history of the old road leading to the door, the historic buildings, the low ceilings, the ancient arrangement of things. In my case, especially so. How very special that trip to the inn must have been. Thanks for sharing this wonderful post! 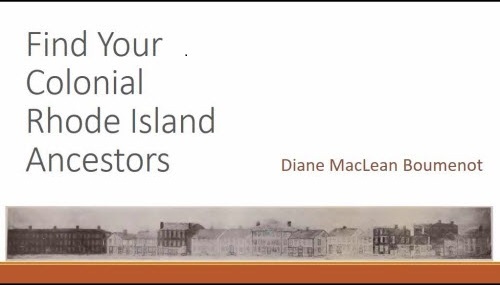 Diane, What a wonderful piece of history you’ve shared. It gives lovely insight into how our ancestors lived and worked.